Maison White Newhaven Quilt Cover. Set includes: 1 quilt cover and 2 standard pillowcases (1 Standard pillowcase with single bed). 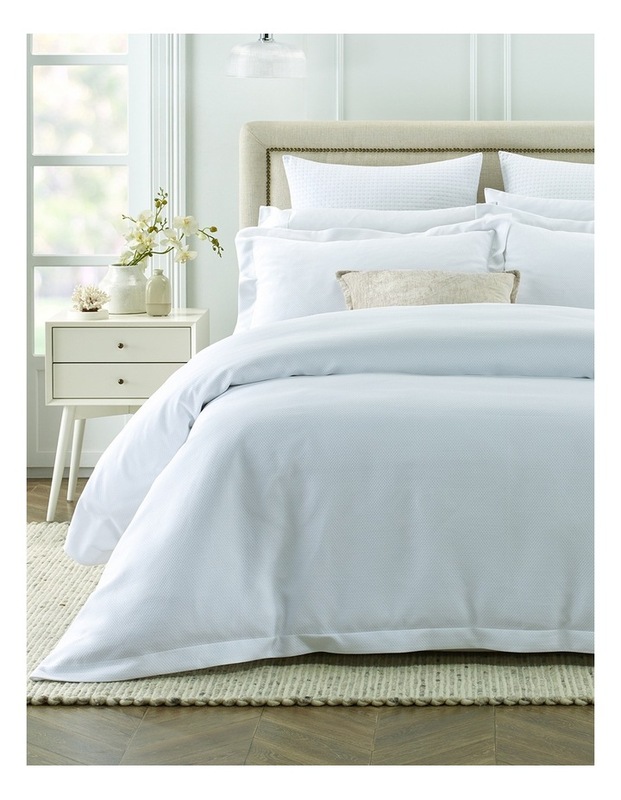 Our white cotton mattelasse range is classically inspired and expertly crafted. 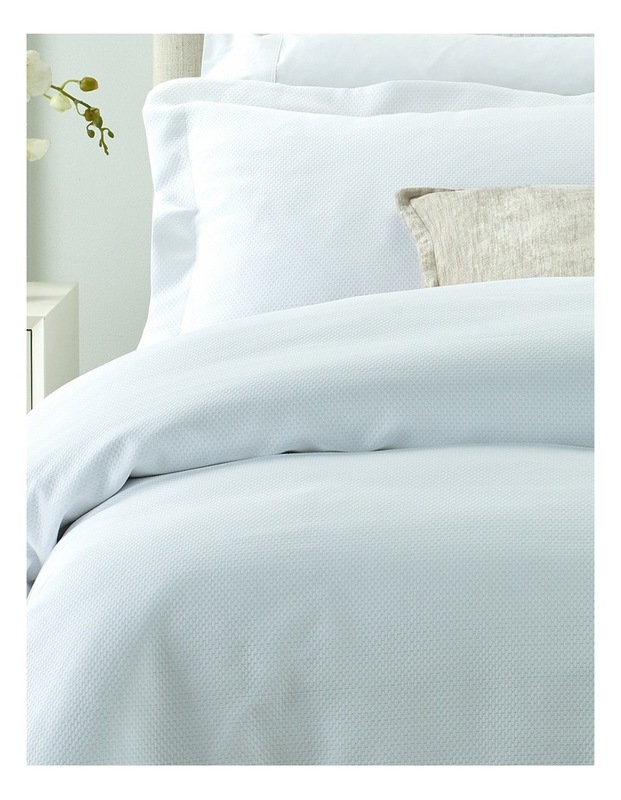 Adorned with a textured weave for an effortless touch of sophistication in the bedroom.